Dripping in Group 1 gold Prix de l’Arc de Triomphe day will be beamed directly into your living rooms by the good fellows at Channel 4 Racing. Four helpings of top-drawer action are on the televised bill of fair, culminating in the big one and Ladbrokes boast numerous choice offers to enhance your punting pleasure. Not only will they be offering a 1/4 of the odds on the places in all seven races on the card, they’ll pay four places on the 1:00, the 3:30 and the 4:50. With margins for reward and failure increased and eroded in respective measure it would be rude not to get stuck into our TV tips. Considering the going is expected to be good on Arc day, there’s not a lot between fancied types Ribbons, Narniyn and Sultanina on known form, with the former’s participation also in serious doubt unless the weather gods intervene with a little more juice. All must attempt to give Dermot Weld’s Epsom Oaks silver medallist Tarfasha 5lbs-worth of weight-for-age allowance, making her a more than justified favourite for this 1m2f Group 1. Among her fellow three-year-olds We Are has attractive form in the book, but has now been disqualified from two of her last four starts, ran poorly in a listed affair last time out, while this may come too soon for thrice-raced fellow Hamdan Al Maktoum filly Hadaatha. 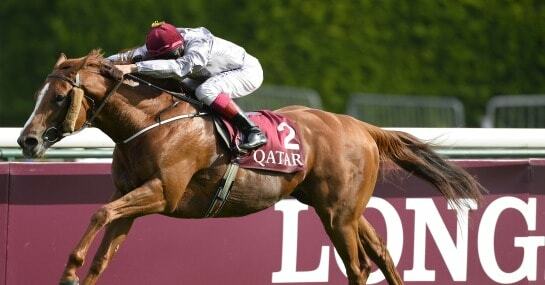 Tarfasha’s Oaks second to leading Arc fancy Taghrooda is the best form on offer here and with Pat Smullen, who has won both sprint and staying Group 1 races at Longchamp, in the plate she has a pilot who knows exactly what’s required. Group 1-winning twosome The Wow Signal and Ballydoyle inmate Gleneagles will be all the rage for this with the ‘Frankie Factor’ likely to see the first named go off favourite under the inimitable Signor Dettori. However, the ground was described as very soft when John Quinn’s stable star followed up his Coventry Stakes win in the Group 1 Prix Morny and, with the Ascot race hardly festooned with subsequent winners, a return to a sounder surface leaves him with something to prove. Gleneagles’ Group-race exploits, meanwhile, have all taken place in fields of five or less. As a result, Crickette Head-Maarek’s twice-raced, unbeaten course and distance winner Full Mast looks intriguing at a more appetising price given his scope to improve. The least exposed horse in the field, he downed the previously unbeaten Nucifera here in Group 3 company last time out on the expected good ground, making all with a fair amount up his sleeve under a hands and heels ride from Thierry Thulliez. It’s got to be one of the more competitive renewals of the Arc in recent memory and as a result a winner at a working man’s price is no pie in the sky, especially with 20/1 and 33/1 shots having taken the laurels within the last three years. There is much in the Aidan O’Brien inmate’s favour ahead of his second tilt at the prize. An Epsom Derby winner, he has nabbed what is widely regarded as a plum draw in stall six, from where his jockey should be able to pick and choose where to place the four-year-old. That pilot in question is our old friend Dettori, who will join the most successful riders in the history of the race if he lands a forth under the son of Galileo. Bought by Al Shaqab Racing earlier this year he rewarded his new connections with a classy victory over course and distance on trials day and comes into the race as fresh as a daisy.